Pay bills on time: Pretty obvious, right? Late payments are the most common piece of negative information that appears on a credit report. Since payment history accounts for 35% of your total score, getting behind has a big impact. If nothing else, pay the minimum by the due date. By the way, any late payment will affect a credit score –cell phone bills, child support payments, etc. Keep balances low: If balances on your accounts equal more than 35% of the total credit available to you, it will actually hurt you. I know, it doesn’t seem right -- why have a credit limit of $1,000, let’s say, and only spend $350 of it? It’s all about proportion-- thirty per cent of your credit score is based on it. A good credit risk is someone who doesn’t need credit. Go figure! TIP: For disciplined credit users: Call your credit card company and ask to increase the limit – this will decrease the proportion you’re using. Don't close unused accounts: The longer your credit history, the better. The length of time you’ve had credit is worth 15% of your total score. You get a star for each creditor you’ve had a positive history with –it’s proof that you’ve consistently paid on time. So don’t close older and unused accounts. Just put the cards away and forget about them. Only apply for credit when you need it: It’s pretty common to walk into a store and get asked to apply for the store’s card to pay for your new purchase – the retailer will even offer you a special deal. Think twice. 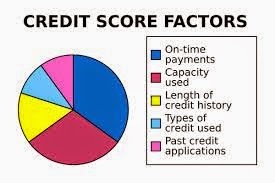 Opening new credit accounts or having your credit checked frequently will hurt your credit score temporarily. The reason? It looks like you’re going credit crazy. New credit determines 10% of your score. So try using an existing card for that purchase unless you know you won’t be applying for a mortgage or a car loan in the next few months. Correct mistakes in your credit report: Get a copy of your credit report from Equifax and Trans Union and make sure all the information is updated and correct. As you can imagine, these two agencies deal with millions of pieces of information on a monthly basis. Sometimes mistakes can happen, which can result in false credit scores, which can lead to you getting denied a loan or paying more in interest. Separate accounts after divorce. Joint accounts are common in a marriage and once wed the info on each spouse’s credit report and their score will impact the other spouse. If a couple divorces however, this creates a whole new set of challenges. A legal divorce does not absolve one or both from their financial obligations to their joint accounts. If both names are on the debt, it belongs to both spouses, married or divorced. Avoid bankruptcy, if possible: This is bad news for your credit score, but it may be the only option. If you’re at this point, then your score has probably tanked anyway—some debts may have gone into collection. Bankruptcy is not a death sentence – there is life after one. It’s just going to take time to rebuild your credit. This will take a few years – there’s no quick fix – but it does give you a fresh start. Talk to a bankruptcy trustee. Negotiate with creditors: Your creditors are in the business of making a profit. If you’re not paying your bills, it impacts their bottom line. Many of them can understand when financial challenges arise and you may be able to negotiate with them and come up with a solution that is mutually beneficial. Do this before you start missing payments. Be patient: No credit score calculation here. It takes time to repair a credit score and/or to build it up. Follow the steps outlined here and you’ll be on your way to a Triple AAA credit rating. 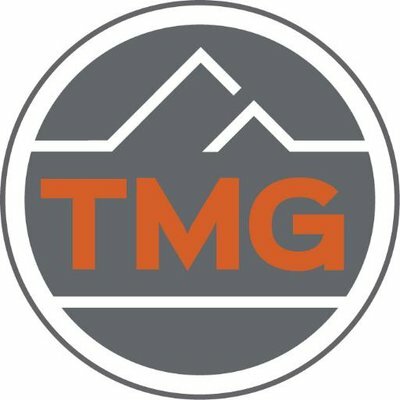 TMG National Breakfast Club Day – what a success!